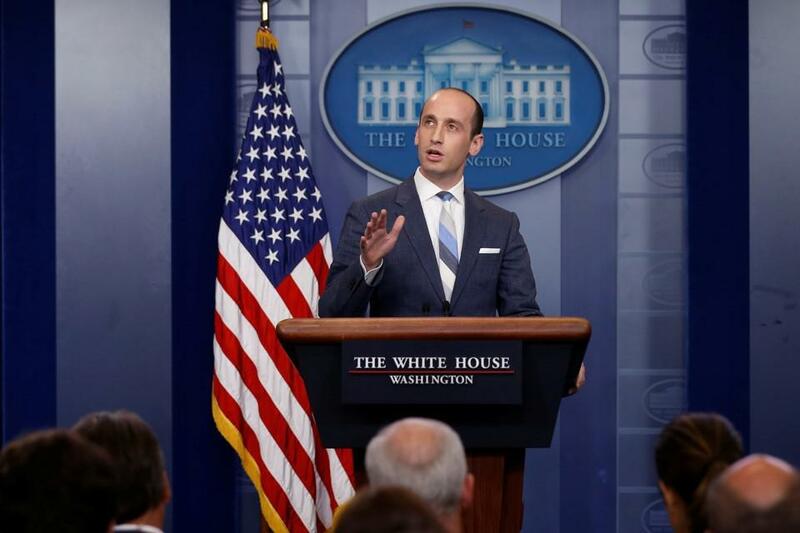 White House adviser Stephen Miller got into a heated exchange with CNN reporter Jim Acosta over a proposal to dramatically reduce legal immigration to the United States. First lady Melania Trump called the writer of an anonymous piece describing President Trump as amoral and petty "cowardly." The New York Times attributed the column to an administration official.